Mr. Tony Daniel Rouse, 78, passed away on Monday, April 8, 2019 at St. Joseph’s Hospital surrounded by his family. Mr. Rouse was born in Hiltonia, GA on April 12, 1940 to the late Dowdy Daniel and Zeda Mae Wiley Rouse. He worked for Dan Vaden for over 20 years as a mechanic and then worked for over 5 years for Alvin Davis Construction as a handy man. Mr. 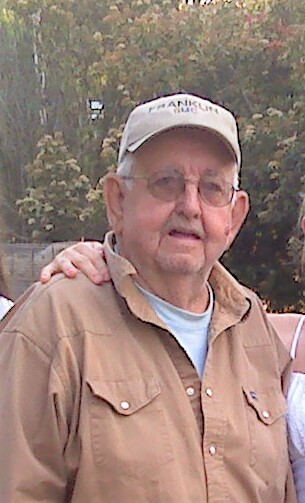 Rouse was a member of the Georgia Wrangler Association and the Circle M. He loved horses, woodworking but most of all, spending time with his grandchildren. In addition to his parents, he is preceded in death by his wife of 44 years, Betty Frances Powers Rouse; daughter, Celeste Rouse; son, Anthony Scott Rouse and brother, Calvin Edward Rouse. Survivors include his son and daughter-in-law, David and Janice Rouse of Statesboro; two daughters and sons-in-law, Diana and Terry Hart of Statesboro and Chris and Mickey Huggins of Ellabell; two sisters and brother-in-law, Patricia and Marvin Winn of Richmond Hill and Peggy Rouse of Louisville, KY; 5 grandchildren, Krista Cain, Anthony Lallak, Austin Rouse, Kayla Hart and Cameron Huggins; 2 great-grandchildren, Skylar Cain and Kingston Wallace and numerous nieces, nephews and cousins. Visitation will be held on Friday, April 12, 2019 from 6:00 -8:00 p.m. at Flanders Morrison Funeral Home. Funeral service will be held on Saturday, April 13, 2019 at 12:00 p.m. in the Flanders Morrison Funeral Home Chapel. Burial will follow at the Ellabell United Methodist Church Cemetery. Flanders Morrison Funeral Home is in charge of the arrangements for Mr. Tony Daniel Rouse.